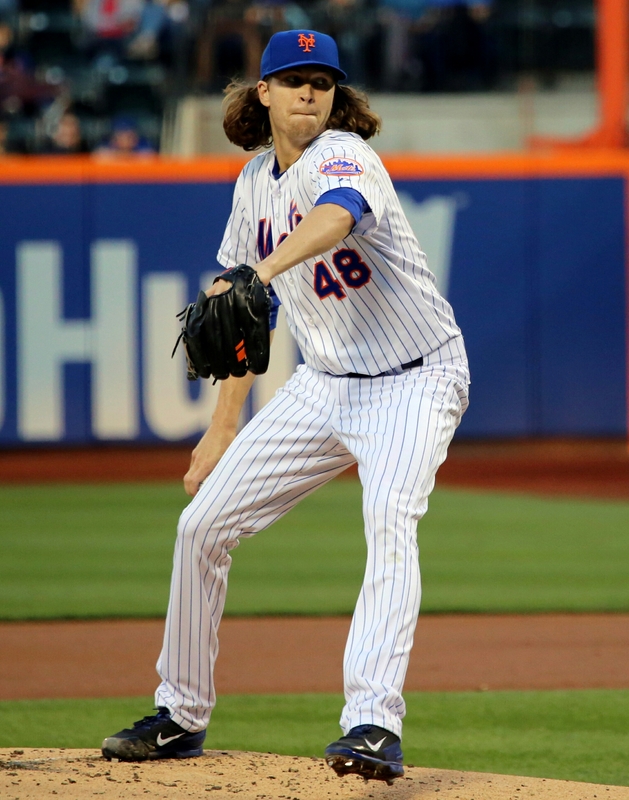 9/9/15 Game Preview: Mets go for sweep behind deGrom | We Gotta Believe! The Mets (77-61) try and complete a second consecutive sweep against the Nationals (71-67) at 7:05 at Nationals Park. The Mets send Jacob deGrom to the mound (2.40 ERA, 2.87 FIP, 0.96 WHIP, 169 IP over 26 starts) to face Stephen Strasburg (4.35 ERA, 3.35 FIP, 1.26 WHIP in 91 IP over 18 starts). Jacob deGrom has faced the Nationals four times this season, holding them to 2 runs in 6 innings in three of the four starts. The fourth, a start in late April, deGrom allowed 5 runs (3 earned) over 5 1/3 innings. That’s good for a 3.47 ERA and a 1.071 WHIP. He has held right handers (.215 wOBA) and left handeres (.276 wOBA) very well over this season, but is more susceptible to the home run against lefties (11 of the 15 home runs he has allowed this season were against lefties). Look for deGrom vs. Harper as a key matchup in this game. Strasburg, since returning from the disabled list in early August, has a 2.70 ERA, 2.84 FIP, and 0.80 WHIP in 30 IP over 5 starts. He has not started since August 30th (Tanner Roark made a spot start in his place last Friday due to a back issue). On the season, the Mets have scored 8 runs (5 earned) against Strasburg in 10 2/3 IP (all in two April starts). For the Mets, reliever Carlos Torres is out “at least a week or two” with the left calf strain he suffered during Monday’s game. Right handed veteran Tim Stauffer was called up yesterday to replace him in the bullpen. For the Nationals, Ryan Zimmerman remains out of the lineup with an oblique strain. Clint Robinson replaces at first base for the second straight day. Yunel Escobar and Michael Taylor are also sitting against the right hander, with Danny Espinosa and Matt den Dekker replacing, respectively. UPDATE: According to Mark Zuckerman of CSN, Michael Taylor is sitting out for his “extremely swollen” knee, an injury he suffered sliding into the wall on August 27th against the Padres. Escobar is sitting with a 103-degree fever, and there is no change in Zimmerman’s status.